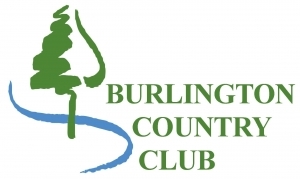 Burlington Country Club is a private, family friendly, community committed to offering the highest standards of golf and hospitality. Located in stunning Burlington, Vermont. The farm families that own Cabot Creamery Co-operative love what they do. And they’ve been doing it for a long time—every single day since 1919. Almost 100 years later, we’re proud of our thriving farms, strong communities, and happy, healthy cows that produce the rich, buttery milk that we use to make Cabot’s award-winning cheese and dairy products. To ensure your year round comfort and satisfaction, we use only the highest quality tightly woven flannel, cut and sewn in the USA. Our flannel is not like regular flannel. It doesn't shrink like regular flannel. The Vermont Flannel Company guarantees 100% customer satisfaction. Home of the authentic Vermont Teddy Bear and the Bear-Gram® gift, The Vermont Teddy Bear Company is the largest handcrafter of Teddy Bears in North America. All Vermont Teddy Bears are handcrafted in Vermont and unconditionally guaranteed for life. How can you tell if it's a REAL Vermont Teddy Bear? Real Vermont Teddy Bears have eyes that say "Born in Vermont" and a tush-tag identifying it as an authentic Vermont Teddy Bear.